Located in the Schnelsen district, this camping site is just 13 km from the Port of Hamburg. It offers self-catering accommodation with WiFi access. KNAUS Campingpark Hamburg provides functional and modern mobile homes. Comforts include air conditioning, TV and CD player. Each mobile home has its own private bathroom. Guests can prepare meals in their own kitchenette, or bring with them a barbecue to use on a sunny day. There is a grocery shop on site, where guests can buy the essentials. 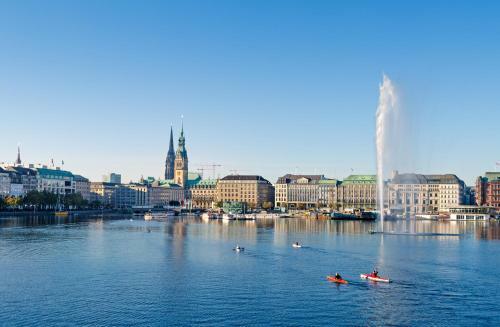 Popular attractions in Hamburg include the Altona Fish Market, Reeperbahn district and the Elbe Philharmonic Hall. The O2 World Hamburg is 7 km away. Please note that electricity is not included and will be charged accordingly. Air conditioning is available for a fixed cost per night. Bed linen is available for a charge. Please arrange this with the contact details provided in the booking confirmation. WiFi is available for a surcharge. Please note that a deposit of € 100 is due upon arrival. Payment before arrival via bank transfer is required. The property will contact you after you book to provide instructions.